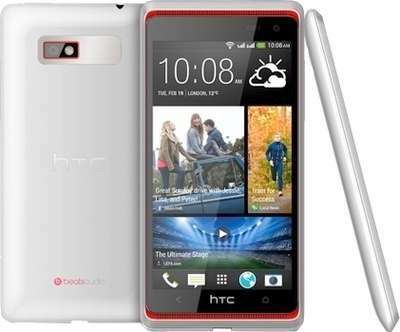 HTC Desire 600 Quad core smartphone is now available online for pre booking at price of RS 26860 . So the desire of having HTC Desire 600 can be full filled now . HTC is the most well known manufacturer in the fields of Android . HTC smartphones are reliable & durable , compare to others . HTC desire is powered by 1.2GHZ quad core MSM8625Q Snapdragon processor & Adreno 203 GPU .In India it would compete with Gionee Elife E5 , iberry auxus Nuclear n1 , Xolo Play , Karbonn Titanium S9 , Micromax canvas 4 A210 , Samsung Galaxy Quattro , Gionee DREAM D1 with SUPER AMOLED HD display ( unboxing & review ) & UMI X2 as well . It has 4.5inch capcitive display having qHD resolution . At the rear of it there is 8MP auto focus camera with LED flash & 1.6MP front facing camera . Although the device is capable of playing 1080p videos & can record videos at 720p resolution . The HTC 600 Desire is powered by 1860mAH battery which claims 11hours of talk time . It does have access to Dual SIM card slots . The smartphone is runs on Android jelly bean . The HTC desire has 1GB of RAM & 8GB ROM ( internal memory) . The memory of the device can be expandable upto 64GB . It is 9.2mm thick & weights arround 130grams .To make it more enhanced HTC included features like HTC Boom Sound , Dual Stereo Speakers with Built-in , Amplifiers & Sound with Beats Audio . It has 3G, WIFI , Bluetooth , GPS , 3.5mmaudio jack & micro USB jack . The HTC 600 has light sensor , accelerometer & proximity sensor . 1.2GHZ Quad core processor . Dual Sim (micro SIM card) . HTC Boom Sound , Dual Stereo Speakers with Built-in Amplifiers & Sound with Beats Audio . 3G, WIFI , Bluetooth , GPS , 3.5mmaudio jack & micro USB jack . Sensors – light sensor , accelerometer & proximity sensor . You can buy HTC DESIRE 600 via flipkart .